Miss Daisy (Jessica Tandy) is getting on, and when she drive her car into her neighbour’s yard, her son, Boolie Werthan (Dan Aykroyd) has to deal with it. 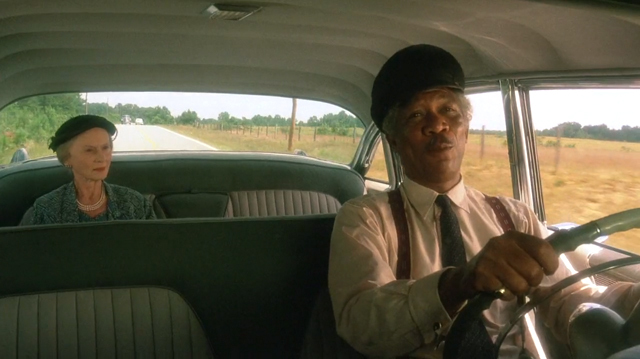 Against her will, he hires a driver, Hoke Colburn (Morgan Freeman), and eventually, she allows him to start driving her around. Over many years, they develop a friendship. And that’s it. I felt that there were so many opportunities to do something or say something, but it just missed. There was almost a comment on class, there was almost a comment on race, there was almost a comment on several things. Instead, it was just a nice drive through the country, avoiding any real potholes.